Bill Hewlett and Dave Packard. Warren Buffett ’51 and Charlie Munger. Oprah Winfrey and Gayle King. Great business partnerships like these leverage each other’s strengths, commit to open communication, and focus on solutions. With the Performance Impact Partnership at Columbia Business School Executive Education, you enter a partnership at the very center of business, increasing the scalability of development across your organization. Together, we focus on what you and your organization need, and when you need it. We offer more than 50 nondegree programs in leadership, strategy, finance, and more—available in person, online, or in a blended format—as well as custom programs that are specifically built for and with you. Together, we will create an offering in the format you need to meet your organization’s performance impact goals. To learn more about the Performance Impact Partnership, contact our Learning Solutions specialists at execed@gsb.columbia.edu or +1 212-854-3395. Choose from more than 50 programs to meet your individual and organizational development goals. Topics include comprehensive management, leadership, strategy, finance, marketing, social enterprise, and talent management. To see our full list of programs, visit our program finder. Our custom programs are developed in partnership with you to meet your organization’s needs. Faculty members play a key role, helping you delve into strategic problems and develop cutting-edge strategies and tactics to address them. We have partnered with a variety of the world’s leading companies to develop custom programs. Here is a list of some of our esteemed clients. Achieve a return on learning without having to leave your home or office, connect with thought leaders, diverse talent, and a vast community of executives from around the world, and experience technology that puts you at the center of business. See the full list of our online programs in our program finder. In recognition of the investment executives make in their professional development, we offer two certificate paths that allow executives to receive select Columbia Business School alumni benefits and join a powerful 46,000-person network. Organizations benefit from exclusive tuition benefits, allowing them to scale learning across teams and functions. To learn more about our certificate options, visit our Earn a Certificate page. To learn more about our offerings and corporate pricing plans, contact our Learning Solutions specialists at execed@gsb.columbia.edu or +1 212-854-3395. At Columbia Business School Executive Education, we bring progressive research, exclusive learning experiences, and connections you can’t get elsewhere. We integrate pivotal faculty research into the classroom and deliver offerings that are specifically created for our partners, not repackaged. We introduce executives to the most sought-after business minds — from the School’s faculty members and industry experts to the leaders in your program — who will challenge your norms and expectations. We immerse your top talent in New York City, where they will be surrounded by leading global companies that will inspire your organization’s future strategies and mindset. This is why you partner with Columbia Business School: to be at the very center of business. What Makes Columbia Business School Executive Education Unique? Columbia Business School Executive Education is part of Columbia Business School which is part of Columbia University, the fifth oldest institution of higher learning in the United States and one of the world’s leading research and teaching universities. Columbia Business School is the only Ivy League institution founded and located in the heart of New York City, the most dynamic business environment in the world. Grounded in the latest research conducted by Columbia Business School faculty, our programs are specifically created, not repackaged, to prepare today’s leaders for tomorrow. In order to help your organization achieve its goals, we use our FLITE methodology (Focus, Learn, Insights, Transfer, and Engage) to discuss and determine the right level of pedagogical rigor, content, and frameworks. Columbia Business School has a longstanding commitment to the nonprofit and social enterprise sectors. We know that resources are especially scarce in nonprofit organizations, and as a result, our programs have an even greater impact. Columbia Business School Executive Education programs are informed by neuroscience, providing the tools needed to create the ideal mindset to maximize learning potential. To learn more about what sets us apart from our peers, contact our Learning Solutions specialists at execed@gsb.columbia.edu or +1 212-854-3395. 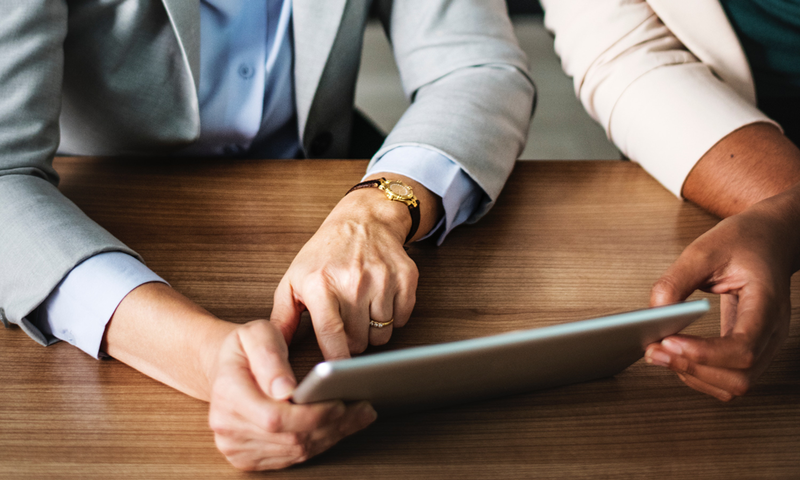 In these three examples of recent partnerships, learn about the business challenges our partners were facing and discover how together we developed customized solutions for their organizational development needs. A major Northeast pharmaceutical company was looking to upskill 25 of their mid-level executives in the field of digital marketing. They consulted with the Learning Solutions team at Columbia Business School Executive Education and found a fit in the School’s Digital Marketing Strategy program, which allowed their marketing executives to learn the concepts, best practices, and tools to reach digitally savvy audiences, build deep customer relationships, and influence the digital path to purchase. In addition to the in-person program, executives also attended a series of live webinars featuring Columbia Business School faculty to further develop their leadership skills. A major energy provider was challenged with attracting and retaining executive talent. They partnered with Columbia Business School Executive Education to develop co-branded certificate paths to augment their internal training. Columbia Business School’s Learning Solutions team and the company’s Learning and Development specialists together designed custom paths of Executive Education programs to develop 15 of their upper- and senior-level executives over the course of four years. 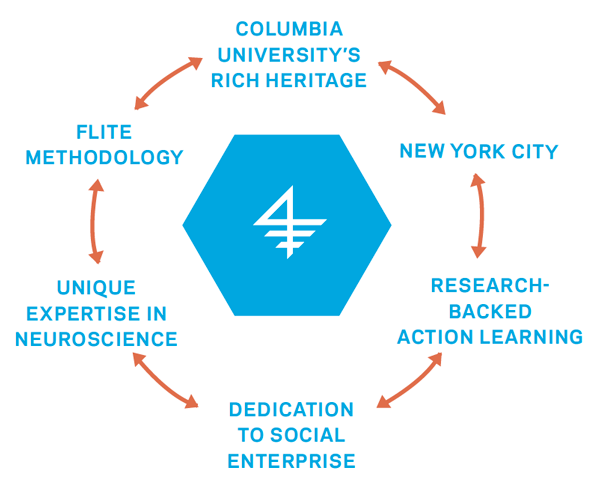 The development path resulted in the Certificate in Business Excellence, which grants the executives Columbia Business School alumni status and further allows executives to scale learnings across their organization thanks to the certificate’s exclusive tuition benefit towards Columbia Business School Executive Education programs. The C-suite team of an NYC-based financial company met with met with Columbia Business School Executive Education to map the competencies and development needs of their executives to the leadership training offerings of the School. Since 2015, the organization has sent over a dozen executives of different seniority to our leadership programs, including the High Impact Leadership program, targeted at senior executives, the Emerging Leaders Development Program, targeted at upper-level executives, and the Leadership Essentials program, targeted at mid-level executives. Drawing on their internal reporting and evaluation system, the company has been able to measure a positive impact of the training on their talent’s performance. To discover how the Performance Impact Partnership can benefit you, we invite you to contact our Learning Solutions specialists at execed@gsb.columbia.edu or +1 212-854-3395. To learn more about the Performance Impact Partnership, please fill out the form below. You will immediately access the Columbia Business School brochure and a member of our Learning Solutions team will get in touch with you shortly to discuss your organization's development needs. We look forward to starting the conversation.